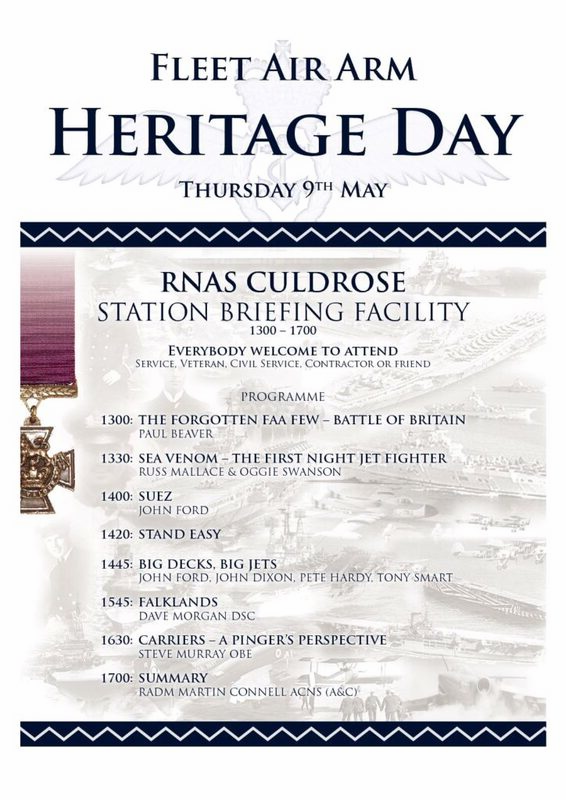 A FAA Heritage Day is being held at RNAS Culdrose on Thursday 09 May. The format will be an afternoon of dit spinning in the Station Cinema with a background theme of carrier operations, commencing at 1300. 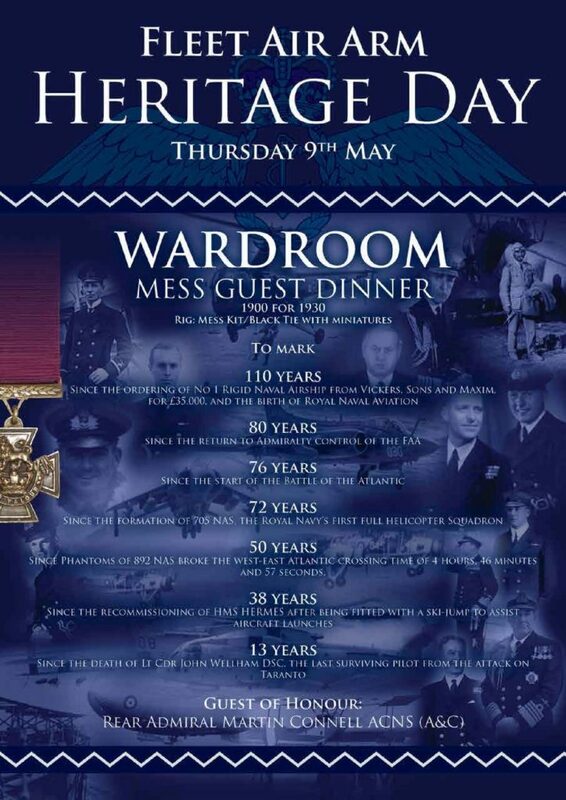 There is then a Mess Dinner in the evening, being held in the Wardroom, with our Head of Fighting Arm, Rear Admiral Martin Connell being the Guest of Honour. The audience will be a mix of serving Officers and veterans along with a number of Senior and Junior Rates, all basking in our rich heritage with the aim to inspire and aspire. The afternoon is free but please still let Jason know for security purposes. Should you wish to attend the Mess Dinner, hopefully the cost will be approximately £25 a head. Limited accommodation is available for which I’m afraid there should be a charge, likely to range between £11 and £15 for the night. Members of the association might be interested in this new book. 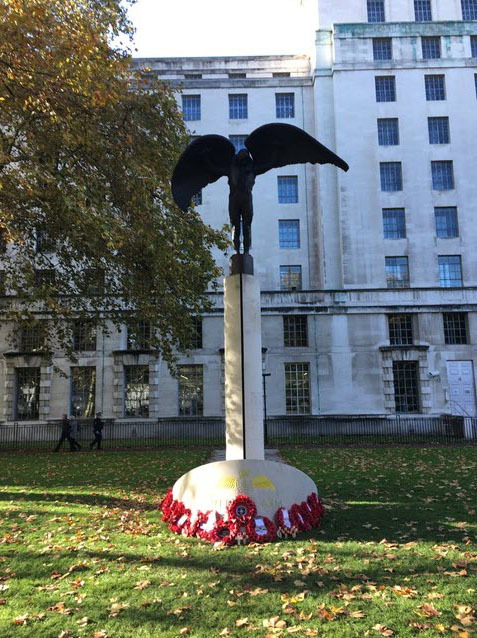 The Battle of Britain seems endlessly fascinating for the British public, but it’s nice to discover, and acknowledge, the Fleet Air Arm contribution. Old story, new twist with a 15% discount for all Cloud Observers on the book price and anything else that you order. You should get an email with the discount code, if you do not receive it then Contact Us and we will get back to you. Brian Sleepy Gleeson has a son, Mark who will be running the London Marathon to raise funds for Cancer Research UK. Please takee a look at his facebook page and spare a shilling for this worthy cause. This magnificent aircraft took to the skies a few days ago. 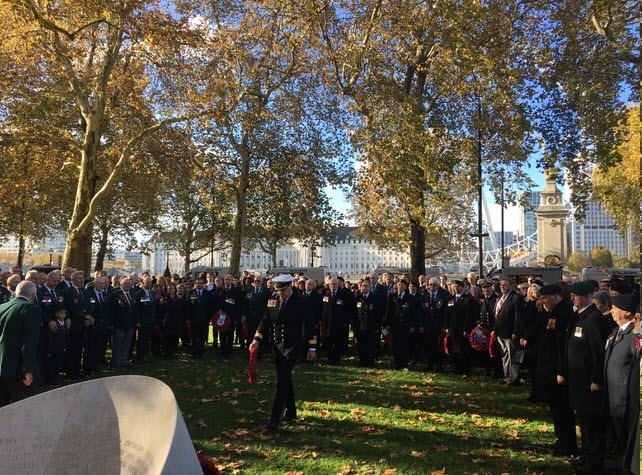 Some veterans will automatically be given one of the new cards, with all former personnel being able to apply for one by the end of 2019. This is THE definitive source of information on all FAA units represented by the 700 or 800 series (including Dutch, Australian and Canadian units using those series). First published in 1994, it has recently been thoroughly revised and brought up to date and includes much information that has not been previously published anywhere. This book has been a labour of love for the authors and they believe that the wealth of information that it contains should be kept for posterity. 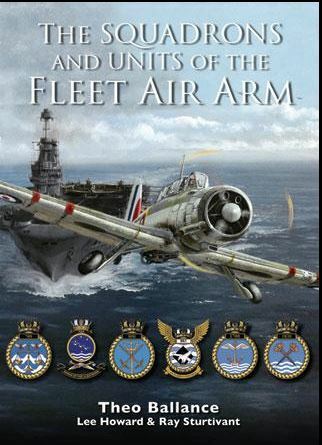 I’m sure it will be of interest to anyone with a connection to the Fleet Air Arm. 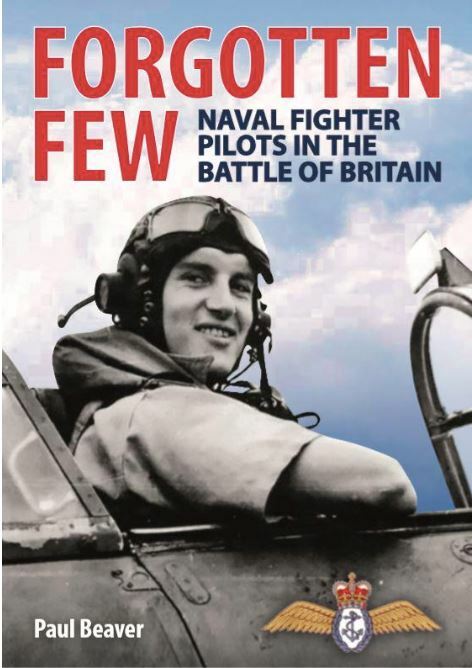 The publishers, Air Britain, are a charity who specialise in publishing books that keep important niche information alive. 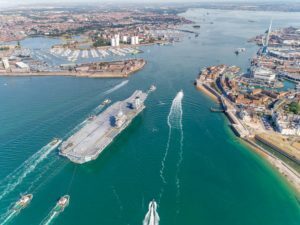 Both they and Navy Wings want to make it as accessible as possible, so there is a special price exclusive to Fleet Air Arm Association members. The RRP is £44.75, but the FAAA member’s price is just £34.95 if they enter a code at checkout. If you have not received an email with the code then contact the Secretary. Dave Castle are you out there? Taff Jones is keen to contact you. If anyone has any info on Dave can they please let us know privately through the Contact Us page. Your discount card to flash wherever you go. Only £4.99 for five years so why not apply today for all year round discount opportunity? Brian Gleeson sent us this picture of him marching in his local 2018 parade. 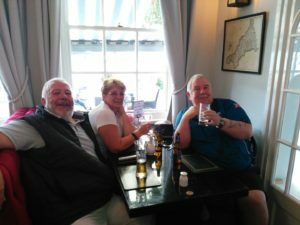 At the recent meeting of the FNF I confirmed that I had found little enthusiasm for a combined reunion and that we would not be participating at this time. All relevant parties have been informed. probably have seen the Aircraft Carrier memorial complete with the Met Branch plaque. The plaques have proved very popular with Ships and Association so, with an eye to the future, a second row of, as yet, unmarked plaques has been established. 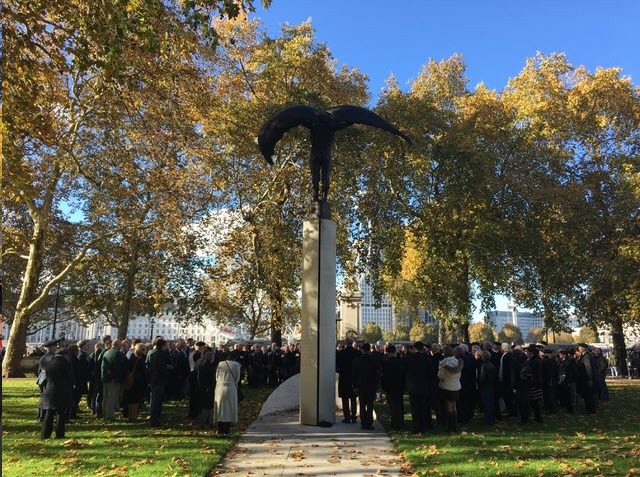 Please see below some images taken by Natural Cut Stone, the company that built and maintain the memorial, earlier this week at the National Memorial Arboretum, following the cleaning of the Fleet Air Arm memorial. 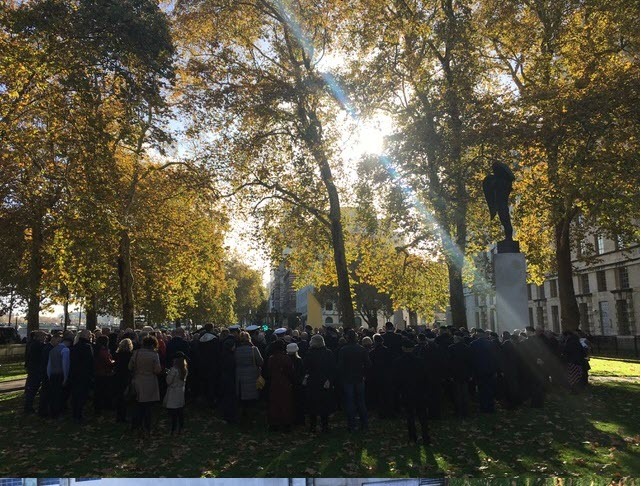 For those that saw the discolouration of the stone after the flooded ground last winter (difficult to imagine now), I think all will agree that the transformation is fantastic. The stones are almost as new again. A sealant has also been applied, and this should help to protect them against ingrained dirt and algae growth for the next few years. The cost of the cleaning, sealing and some repairs to the grout was £540. Although this is very good value, and is covered by previous donations to FNF funds, any contributions to top-up the Federation account for future cleaning/restoration will be greatly appreciated. This way we will not need to do a specific call for funds when the next work is required. Mike & Liz Wright with Bungy at Bude 44 years since Bungy was best man at their wedding. 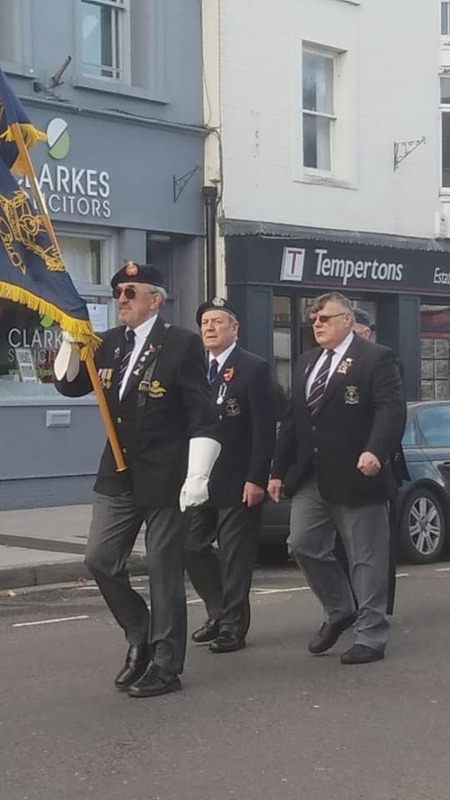 Bungy will be parading the Bude Royal Naval Association Standard again this year as he works towards 30 years as a Standard Bearer. Never happen again I’m sure !! 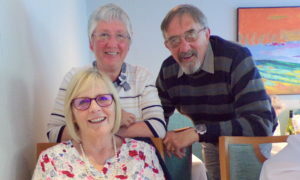 On the next table to us in the dining room we met former Met Wren Barbara Spraggs as was (she apparently was one of the famous/infamous Halfa bunnies in 1965 !! Just had to have a piccy. Such a strange world and life is so strange at times. Brian features on this page and also the Remembrance page as a Standard Bearer. A chap in the USA likes Harriers, so he bought one, a Sea Harrier no less! The video below is one of a series about getting the Harrier back in the air and then it's time on the Air Show circuit. At one point the owner says in one of the videos that he cannot fly it in the UK. Will that change in light of the fact that all historic naval aircraft will fly on the civil register in the future? 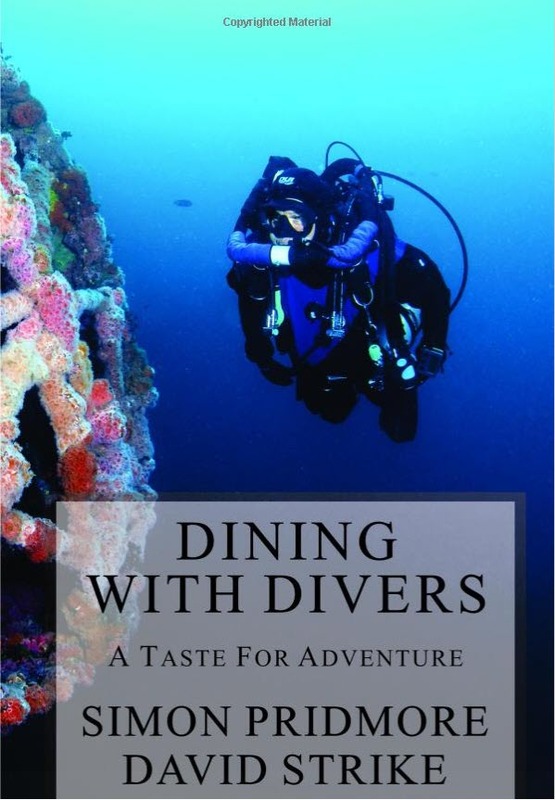 On the face of it the book, Dining with Divers has little to do with Cloud Observers however, one of the divers and co author of the book is non other than David Strike. David had an interesting career as a Stoker then diver before training in Met. I served with David on HMS Albion 68-69 Far East Commission. David continues to dive to this day, tells a good yarn and is a bit of a celebrity down in OZ where he is based and elsewhere. So here is a book, available on Amazon, that is not Met related but is scribbled by one of ours. Please excuse the blatant plug. "His counsel proved wise in all regards and I still cannot imagine a better way to eat lobster than on the beach in Maine with butter running down your arms and a pile of shell litter accumulating at your feet. " 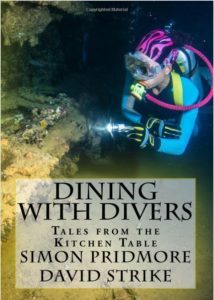 Just one of the many great stories and equally satisfying recipes and meal ideas in the newly-published, 'Dining With Divers: A Taste For Adventure', compiled by Simon Pridmore and myself and now available through Amazon stores worldwide. Memories closer to home were stirred as well this last week. Those who know me will know that I dabble a little in Model Railways. and other such journeys sprang to mind. Ashley Price has set up a Facebook Group for all Midlands Metocs. Looking to add a few more members. Click on the picture to visit the page. Yes folks Steve Howard is off on his travels again. 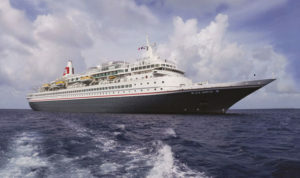 As part of his preparation he has rebuilt his Travel Blog. For those of you who are not up to speed with Blogs, why should you be? A Blog is a techy term for a website that has pages as paragraphs but also contains pictures, links and videos. In other words its an electronic book or story thats been americanised! Anyway just click on the banner above to visit Steve's Blog (website) where you can read about his trips to the US of A and Turkey. 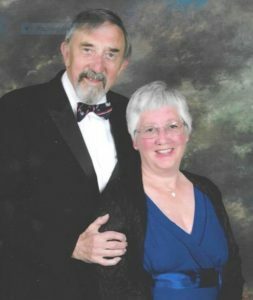 There are lots of photographs and videos taken by Steve and Rosina to keep you entertained and informed. You will also be able to follow the intrepid pair on their current travels.